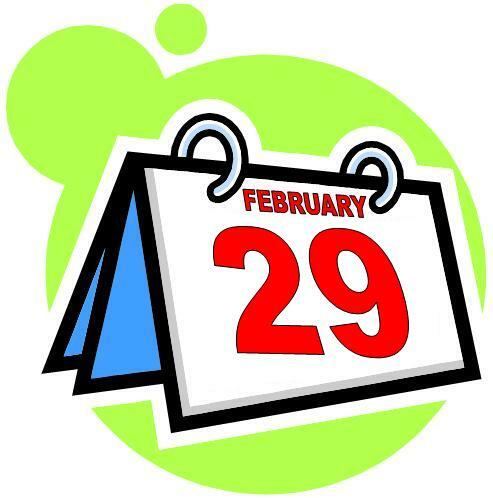 Tomorrow, you will receive a precious gift: an extra day. Because 2016 is a leap year, you will have 24 hours more in your year. Even those of you who pretend that they don’t have enough time, have no more excuse not to do what they want to do. Send a letter to a relative or friend that you haven’t contacted in years. Turn off your phone and read a book. Use a bus or a train that you have never used and see where it goes. Walk back. Draw a pirate treasure map and hide it where people can find it. Use rope skipping as your only means of moving all day. Join a narco syndicate for an undercover report. Cook as much spaghetti as you can and invite your friends. Write a short story (and send it to this blog for publication). Try to get into the neighbouring country, evading the border controls. Pick up a language course and learn a new language. Give chocolate to everybody whom you meet today. Go walking into the same direction as long as you can or until you reach the sea (or fall off the earth). Pretend that you don’t speak your native language. Eat only ice cream all day. Go to your kebab shop and offer to help in the kitchen. Put up a zip-line in your backyard. Take colour copies of all the money that you have. Fix the buttons on all your clothes. Get vaccinated against yellow fever. Try to buy a train ticket for 30 February. Paint your house in a different colour. Give away all the clothes you have not worn in a year. Go to the park and ask strangers to play chess with you. Record the sound of a helicopter and play it as loud as possible when people are close. Talk about bombs and explosions all day to attract the attention of the FBI. Buy a Chinese newspaper and sit in the park in Chinatown, pretending to read it. Go hitchhiking and don’t worry about the destination. I hope you will enjoy your extra day! Let me know what you did. This entry was posted in Life, Time. Bookmark the permalink. Hey! That’s way too much stuff to do! We only get an extra day, not an extra year! I would take a sabbatical month every three years. No phone, no internet, just hiking through the countryside with a backpack. You are not supposed to do ALL of them in one day. Just pick one and it will be a fun day. you would as in “I used to” or as in “I would but I can’t”? I would like to, but I got a bit complacent as I aged. I really hope to shake this up this year and go on a massive hike across South America or so. I read several of your posts. Thanks for reminding me to do that! 	Send a letter to a relative or friend that you haven’t contacted in years. – does a facebook message count…? 	Learn the cricket rules. – uggh! Why the hell would I want that? 	Make a barbecue. – inside? 	Turn off your phone and read a book. – yeap. Done. 	Milk a cow. – again: in my tiny apartment? 	Use rope skipping as your only means of moving all day. – what am I, a frog? 	Wash your cat. – why do we have to make this day a nightmare to cats? 	Join a narco syndicate for an undercover report. – huh? 	Cook as much spaghetti as you can and invite your friends. – friends…? What friends? 	Try to get into the neighbouring country, evading the border controls. – are you trying to get us in JAIL??? 	Run for public office. – nope, all politicians are liar thieves! 	Repair your bicycle. – do I need to buy one, or is it enough if I steal one? 	Give chocolate to everybody whom you meet today. – NOOOO! Chocolate is MINE! 	Enrol in university. – uggh, I’m glad I finished it. 	Start a flash-mob. – tree hugging? 	Go walking into the same direction as long as you can or until you reach the sea (or fall off the earth). – does Auchan supermarket count? It is pronounced ocean! 	Build a snow sculpture. – may I make it out of mud? 	Go to your kebab shop and offer to help in the kitchen. – are there any kebab shops in Tg-Mures? 	Put up a zip-line in your backyard. – what’s that? 	Do some parkour jumps. – … and this? 	Join the military. – nope. 	Take colour copies of all the money that you have. = :))) My valet is empty!!! 	Try to buy a train ticket for 30 February. – don’t you think CFR would actually give me a ticket? They are dumb enough… A few years ago my colleagues were asked to send weather data for 29-30 February, and it wasn’t a joke! 	Read the constitution. – why? 	Eat vegetarian for a day. – vegetarian ice cream…? 	Talk about bombs and explosions all day to attract the attention of the FBI. – do you think there would be one person who would take me serious? Wow, you just spent the whole extra day going through my list. That was not the idea. 	Learn how to dive. – that’s not even impossible in Tg-Mures, but I don’t think there is anybody would teach me to dive in the Mures river => Maybe at Complexul Weekend? Now in winter, it’s even free of charge to use the swimming pools. 	Send a letter to a relative or friend that you haven’t contacted in years. – does a facebook message count…? => Noo. It needs to be on a paper postcard, with a real stamp. 	Learn the cricket rules. – uggh! Why the hell would I want that? => So you can enjoy watching it on the sports channel. Or in live on your next visit to the UK, Australia or Pakistan. It’s actually a fun sport to play. I learnt it when I went to school in Australia. 	Make a barbecue. – inside? => I sometimes made one on my balcony in Bulevardul 1848. 	Milk a cow. – again: in my tiny apartment? => Don’t call it tiny until you have seen apartments in London (which cost 25 times the rent of Targu Mures). 	Use a bus or a train that you have never used and see where it goes. Walk back. – not bad, but I’ll have to get to work this afternoon :( => No, no, no, you don’t need to go work today! They don’t know about this extra day. They only expect you back on 1 March. 	Wash your cat. – why do we have to make this day a nightmare to cats? => But you will earn millions with the YouTube video of it. 	Join a narco syndicate for an undercover report. – huh? => OK, maybe this is not an option outside of South America. 	Cook as much spaghetti as you can and invite your friends. – friends…? What friends? => I completely understand that problem. 	Write a short story (and send it to this blog for publication). – does this count as a story? >:) => Actually yes. This is funnier than most short stories. 	Try to get into the neighbouring country, evading the border controls. – are you trying to get us in JAIL??? => No, I am trying to make your lives more interesting. This reminds me that I still need to write the story of the one time when I helped to smuggle alcohol and tobacco across the Moldovan-Romanian border. 	Run for public office. – nope, all politicians are liar thieves! => Generalizations are never true. Oh, that was a generalization. What a paradox. 	Emigrate to Bolivia. – nope, it’s too far, I would miss my family => This is one human sentiment that I really don’t understand. People can write, people can call, people can visit. 	Tell your children the truth. – could you wait a few months, I’ll have to give birth to them first => You can shock your nieces and nephews by explaining to them that there is no Santa Claus and no God. 	Repair your bicycle. – do I need to buy one, or is it enough if I steal one? => …asks the person who accused other people of being thieves just 3 questions before. 	Pick up a language course and learn a new language. – Java => The Java in Indonesia, I hope? 	Enrol in university. – uggh, I’m glad I finished it. => I miss university. If I didn’t have far too much on my plate already, I would return to university in a heartbeat. But currently my focus should be on studying Spanish. 	Start a flash-mob. – tree hugging? => I hope there are still some trees left in Targu Mures. 	Go walking into the same direction as long as you can or until you reach the sea (or fall off the earth). – does Auchan supermarket count? It is pronounced ocean! => Haha, good idea! And in Targu Mures, you can even walk from one ocean to the other. 	Build a snow sculpture. – may I make it out of mud? => Or you have to go into the mountains. 	Pretend that you don’t speak your native language. – that’s too easy around here… => True. :-)) I hadn’t thought of bilingual people in bilingual regions. 	Go to your kebab shop and offer to help in the kitchen. – are there any kebab shops in Tg-Mures? => Of course! There are at least two on Piata Trandafirilor and a few more around town. 	Put up a zip-line in your backyard. – what’s that? => It’s this line across the Danube (for example) where you hold on to a metal hook and then slide from one side to the other. 	Do some parkour jumps. – … and this? => It’s the cool kind of running and jumping that you see in the opening scene of “Casino Royale”. Actually, re-watching “Casino Royale” is also a good way to spend the day. 	Join the military. – nope. => But you would see interesting countries. 	Take colour copies of all the money that you have. = :))) My wallet is empty!!! 	Fix the buttons on all your clothes. – they don’t need fixing, I fixed them already => OCD. 	Get vaccinated against yellow fever. – why? I only get the normal, red fever :P => But for the yellow fever vaccination you get this nice yellow WHO passport. 	Try to buy a train ticket for 30 February. – don’t you think CFR would actually give me a ticket? They are dumb enough… A few years ago my colleagues were asked to send weather data for 29-30 February, and it wasn’t a joke! => Hahah, that is cool! I would have issued massive storm warnings. 	Paint your house in a different colour. – I don’t think my neighbours would like that => Actually, I think all the big housing complexes in Romania would benefit from some creative painting. Like in Bolivia. 	Write a sudoku. – 1 5 8 / 2 6 9 / 0 4 3 => Wait, that was the easy part. Now you need to take out some numbers in a way that it can still be solved, but only solved in one way. 	Go to the park and ask strangers to play chess with you. – they would beat me, there are some old guys who play chess in the park just 100 meters from my home => Oh, I remember the guys playing chess in the playground in front of Pizzeria Morandi. 	Read the constitution. – why? => You will realize why when you read it. It’s actually a very interesting document. 	Talk about bombs and explosions all day to attract the attention of the FBI. – do you think there would be one person who would take me serious? => That’s the challenge for your acting skills! 	Buy a Chinese newspaper and sit in the park in Chinatown, pretending to read it. – first I have to build Chinatown… => You could go to Harghita and pretend to read in their funny language. Oh wait, you do. 	Go hitchhiking and don’t worry about the destination. – as long I get to work in time => Wrong priorities! It was a wise decision to move to South America before you confessed about your smuggler career. Why do you think I need to keep moving? But no smuggling in Latin America! Shall I try Egypt, Jordan, Lebanon, or Syria? Andreas, you just have to recognize that you’re more adventurous than most of us! Of these four options, I would try Jordan. Not because it’s necessarily easiest to cross the border, but because I think the least would happen if you get caught. And I am still not as adventurous as I would like to be or as I used to be. You know that before we signed a peace treaty with Jordan, there was this thing with young Israelis where they would illegally cross the border and go to Petra. It was sort of a challenge. Plenty of them were caught. But the Jordanian border police that I remember from Aqaba were the nicest, friendliest and funniest I ever encountered anywhere in the world. On our extra day, 3 friends and I took a cooking class – we made guacamole, tortillas, chicken tinga (great on those tortillas!) quesadillas with flor de calabaza (again super on those homemade tortillas), and mole rojo con pollo. Beer and mezcal to wash it all down – a perfect day! What did you do? I actually used half of the day looking for postcards for readers who had made donations. I shouldn’t have promised postcards before figuring out where to find them. In 2016, this has become quite difficult. – I will post the full story soon.